WPS stands for the EPA’s newly revised Worker Protection Standard that recently went into effect for agricultural employers. 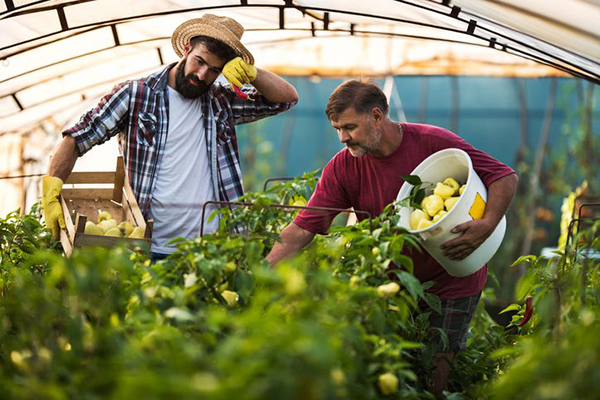 The WPS requirement is aimed at reducing the risk of pesticide poisoning and injury among agricultural workers and sets specific requirements that all agricultural employers are required to follow. One of the most significant requirement changes that are now in effect is that agricultural employers must train all workers every year using specific EPA approved training materials or programs. Employers are also required to document this training and store it for at least two years, as well as provide proof of training to workers who request it. Who must receive yearly training under the WPS? All workers and handlers are required to complete yearly training and must have this training complete before doing work on the establishment. This is a major change for employers, as many employers hire seasonal help and part-time labor that in the past have not had to undergo specific WPS training. Now all workers must receive this training, and this is everyone from your basic field hand, to nursery workers, to people watering and repotting plants, basically, everyone is required to be trained under WPS. What are the consequences of not training? Not only would you be taking a major risk as far as EPA compliance during inspections, but you are also putting yourself and your company under major liability for not providing required training. The EPA conducts thousands of inspections of agricultural facilities every year, and one of the major items they check for is WPS compliance. In the event that an employee is injured, gets sick, or is hurt in some way, that employee or his/her family also have the right to take civil/criminal action against the employer which can be extremely expensive. How to comply with this training requirement? Certified Training Institute has developed a complete agricultural worker training program that gives employers the flexibility to train their workers in English and Spanish. This online video training program not only trains your workers but also provides, organizes and stores all training documentation for the employer. This is the only program of its kind that has been approved by the EPA. This program is extremely easy to use and only costs $159.00 to train up to 25 workers. If you have workers who need to be trained, this is the easiest and most efficient way to comply with the worker protection standard. This entry was posted in Pesticide and tagged Worker Protection Standard.